Through its Alliance with OSHA, the American Staffing Association will host a free webinar on Sep. 12 at 3 p.m. (Eastern) on protecting temporary workers from workplace noise exposure. This webinar will review OSHA’s new temporary worker initiative bulletin on Noise Exposure and Hearing Conservation, summarize the elements of a hearing conservation program, and outline staffing firm and host employer responsibilities for ensuring that temporary workers are protected from noise exposure in accordance with OSHA standards. For more information and to register, visit the webinar website. The goal of this workshop is to provide an understanding of the labeling obligations under California’s Proposition 65 and the risk-based requirements for determining whether a warning is required. Key topics will be covered in informal lectures and there will be opportunity to discuss the relevant hazard communication aspects of the regulation and to work on examples of risk-based labeling decisions. This is considered an advanced course. While there are no prerequisites for this course, it is recommended that participants have a working knowledge of SDS and labels and that they have either taken the SCHC courses Toxicology for Hazard Communication and Hazard Determination and Risk Assessments or that they are comfortable with the basic principles of toxicology and risk assessment. This is an on-line, live lecture, distance learning presentation of an in-person workshop that has been presented at SCHC meetings. This workshop counts towards SCHC professional development recognition and may qualify for continuing education requirements. Hazard communication professionals looking to improve their California Proposition 65 labeling skills. 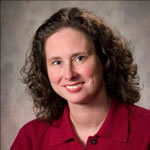 Dr. Jacobson is a Senior Toxicology Specialist at the 3M Company. Her primary responsibilities include assessing the human health hazards and risks of raw materials, chemical intermediates, and products for several 3M business units. In addition, she oversees the authoring of hazard communication documents and develops comprehensive health hazard profiles for chemical substances important to 3M. Dr. Roy is a Lead Toxicology Specialist at 3M in St. Paul, Minnesota. His primary responsibilities include assessing the human health hazards and safety of products and other materials for several 3M business units. In addition, he leads the development of the 3M Occupational Exposure Guidelines and has been actively involved in California Proposition 65 assessments, chemical health hazard determination, and the human risk/safety assessment of chemicals/intermediates and finished products. Refer to brochure for additional information.